Blackberry — which recently celebrated the notable achievement of a zero percent marketshare in the smartphone space — has turned into a patent troll now. In suing Ryan Seacrest’s Typo iPhone Keyboard case (which gives the iPhone a physical QWERTY style keyboard which can be slide onto the screen when necessary) now claims that it is a “deliberate” copy of Blackberry that violates three patents. Bloomberg reports that Blackberry argued in court Friday that the Typo infringed three patents, with the judge in the case opining that at least two of them seemed valid. Blackberry said that the Typo Case for the iPhone was an “intentional and deliberate” copy of the BlackBerry keyboard: “The similarities between Typo’s iPhone case and the keyboard for BlackBerry’s Q10 smartphone are unmistakable,” said Blackberry lawyer Kevin Johnson. 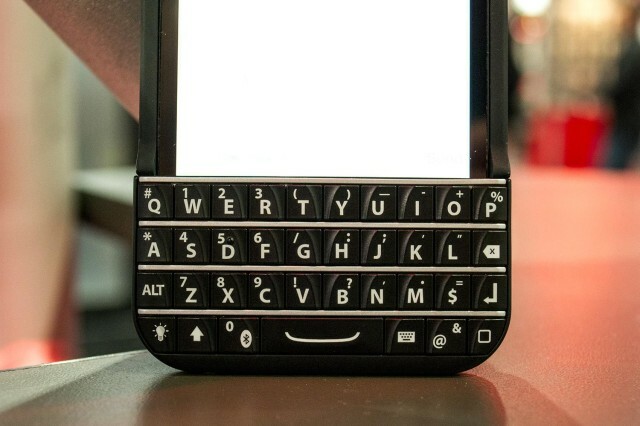 It sounds like Judge Orrick is on Blackberry’s side in this dispute. “If the consumer can look at this and say this product is ripping off BlackBerry and knows it’s not a BlackBerry product, how does that make a difference in my analysis?” he said. According to the Judge, he will be issuing a ruling the stop sales of the Typo case in the United States. So get one while you can.